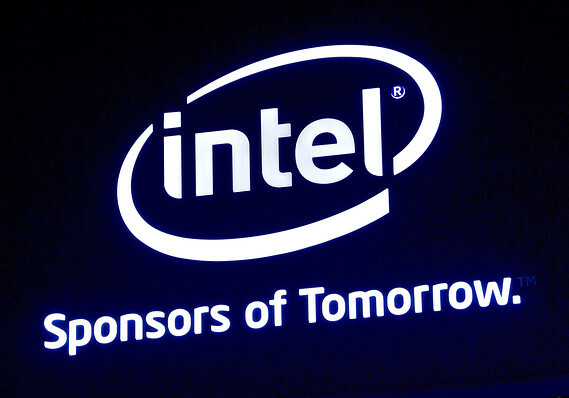 SAN FRANCISCO (MarketWatch) — Among the companies whose shares are expected to see active trading in Friday’s session are Intel Corp. and Finisar Corp.
said it is raising its second-quarter revenue outlook on improving PC demand. Intel now expects sales for the current quarter at $13.7 billion, plus or minus $300 million, compared with a previous forecast of $13 billion, plus or minus $500 million. “The change in outlook is driven mostly by strong demand for business PCs,” said Intel. Intel shares were up 4.9% in after-hours trading. late Thursday reported its fourth-quarter earnings rose to $28.4 million, or 27 cents a share, from $3.9 million, or 4 cents a share, a year ago. On an adjusted basis, Finisar earned 36 cents a share, short of the 38 cents projected by analysts in a FactSet survey. Revenue grew to $306 million from $243.4 million. Finisar also forecast fiscal first-quarter revenue of $320 million to $335 million and adjusted per-share earnings of 30 cents to 34 cents. Finisar shares tumbled 20% in after-hours. soared 22% late Thursday after the apparel retailer said private-equity group Sycamore Partners has expressed interest in acquiring it. Sycamore said in an SEC filing that it has built up a 9.9% stake in Express. Express has established a special board committee to determine an action with regards to the letter of interest from Sycamore, but also adopted a shareholder-rights plan. The plan has a 10% trigger, which will give the board time to consider any and all alternatives to an offer. Under the plan, one right will be distributed for each share of Express common stock outstanding at the close of business on June 23.
on Thursday disclosed the revenue it receives for routing trade orders to certain venues for execution, and said it plans to disclose the order-routing revenue every quarter, beginning in July. The disclosure comes as regulators step up scrutiny of the relationship between trading venues and high-speed traders. The consortium that owns the top U.S. Spanish-language broadcaster Univision Communications Inc. has entered talks with possible buyers, including CBS Corp. The Wall Street Journal reported late Thursday, citing people familiar with the matter. The owners want at least $20 billion for the company after having bought it in 2007 for $13.7 billion including debt, the report said. 0 responses on "Intel, Finisar are Friday’s stocks to watch"